8 students from different fields at Metropolia UAS has chosen the topic of HPP-project: “Stop polarization and health inequalities!” as their MINNO® INNOVATION PROJECT. The initial outcomes of Focus Group discussions in Health Promotion Programme (HPP) were increasing polarization and health inequalities. Capacity building to decrease polarization and health inequalities was considered a challenge for the future Health Promotion in both countries. Future-fit actions should also be directed toward changing environmental and socioeconomic conditions, which impact health and well-being. 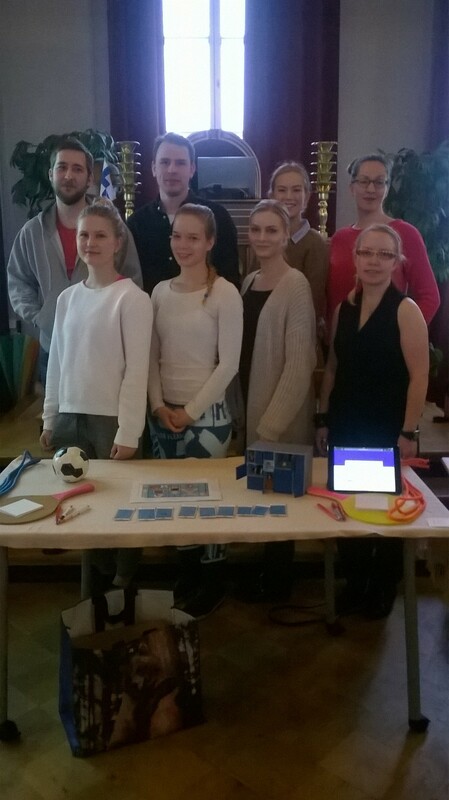 The students received guidance and advice from lecturer Tuula Toivanen-Labiad (Health Promotion) an the HPP project coordinator Outi Lemettinen. Should doing exercise be just for the well off? Should children from poor families play soccer with a ball made of rags? Should those who are lonely remain so? Students of Metropolia UAS don’t think so! Studies show Finnish children and adolescents don’t get enough exercise. As a result, they risk getting cardiovascular and other lifestyle related diseases at an earlier age. Lack of physical activity also contributes to depression and social exclusion. The problem has been addressed nationally and a governmental goal has been set to add one hour of exercise per school day. This goal has been hard to achieve, though in practice. 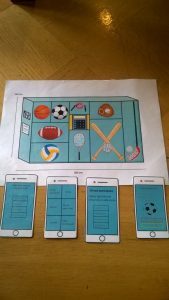 Students have created an entirely new concept to enable children and adolescents to exercise spontaneously. 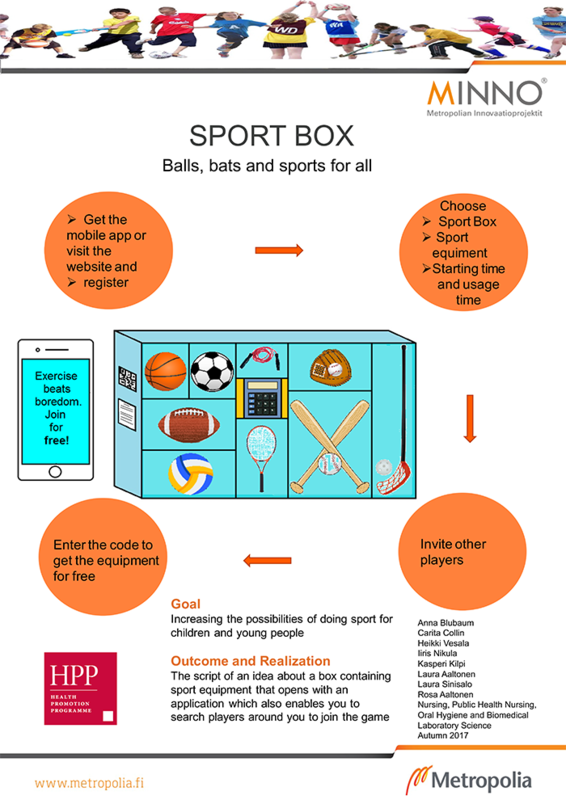 The goal is to produce a free-for-all service called Sportbox, which is a box that contains sports equipment. 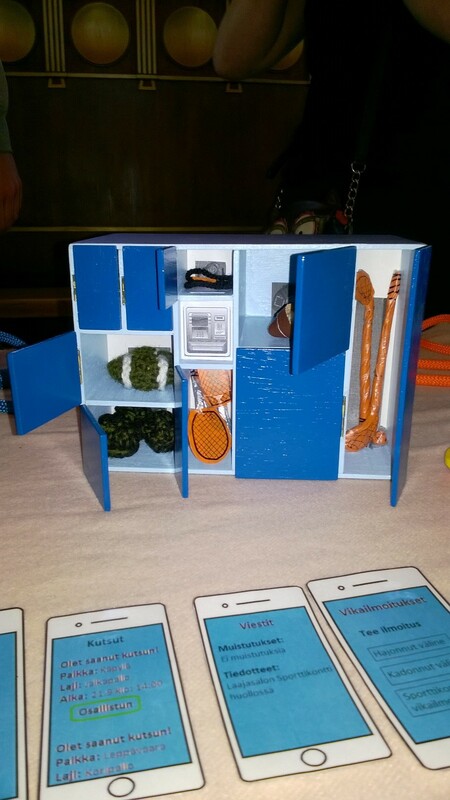 The box can be opened by using the Sportbox mobile application to read the QR-code on the side of the Sportbox. 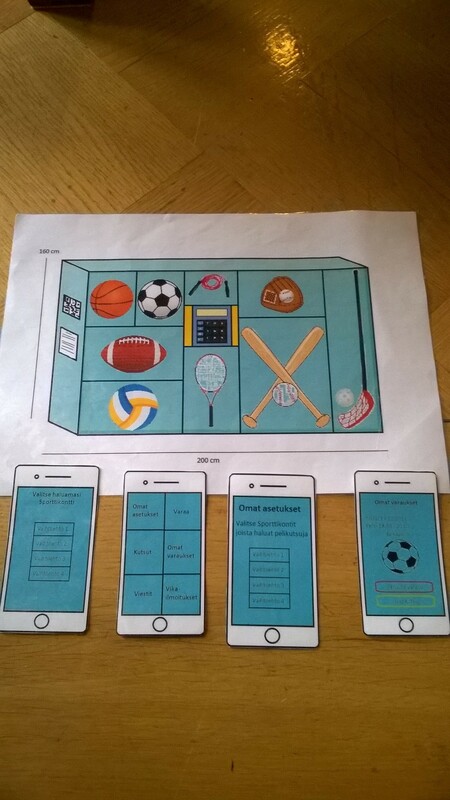 You can also send out invitations with the app to other users to come and play sports. Invitations can be sent by choosing which Sportbox and equipment you want to use, and when you want to use them. Invitations can either be accepted or declined, allowing the sender and recipients to see the number of participators. Reservations can be made up to two at a time. The Sportbox can be opened once the reserved time begins. The Sportboxes are meant to be located in public playing fields and parks maintained by the city. This way children and adolescents will be encouraged to c while improving their health and wellbeing. Free of charge. Check out the video below to see how the SPORT BOX works.